Although it's much more popular to bash Star Wars these days than stick up for it, I have to say I've always been a big Star Wars geek. So with the new Blu-ray release of the Star Wars films next week, I decided to dedicate an entire week to the Star Wars franchise, breaking down why these movies did or did not work. I already reviewed Star Wars: A New Hope about a year ago, so I'll be starting with The Empire Strikes Back, going to Jedi, and then moving to the prequels, which should be interesting. For those of you who are big Empire fans and haven't been on the site for very long, you'll also want to check out my review of Leigh Brackett's original Empire draft. It’s quite wild. Premise: (from IMDB) While Luke takes advanced Jedi training from Yoda, his friends are relentlessly pursued by Darth Vader as part of his plan to capture Luke. About: Considered by many Star Wars fans to be the best in the franchise, Empire has the distinction of being the only Star Wars film not to gross more than $300 million domestically. Still, it was the highest grossing movie of 1980. Lucas bankrolled the $33 million dollar production all by himself. As someone who loves breaking down screenplays, Empire always terrified me. It has such a funky structure, with its main battle happening within the first 40 minutes and the lack of any clear defining goal for its heroes. Coming back to it over the years, I've never been able to completely understand why it works. But recently, as I've strengthened my critical eye, I feel like I'm finally ready to figure out the secret to Empire. Imagine my surprise when I watched the film and realized that while it does do things differently, as long as you divide it up into segments, it's quite easy to figure out. But I'll get to that in a moment. First, here's a short summary of the story. Darth Vader is in hot pursuit of Luke Skywalker and the new hidden Rebel base, blanketing every star system in sight to find them. 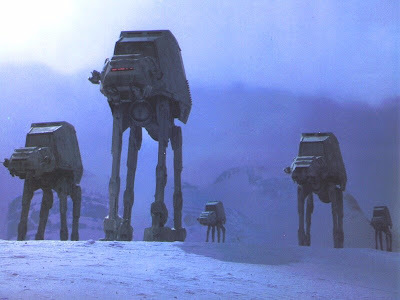 When he locates the Rebels on the remote ice planet of Hoth, he sends an army down to destroy them. But the Rebels are able to escape, and our heroes split into two factions. Han and Leia head out in one direction with Darth Vader hot on their trail, and Luke heads to the Dagobah System to be trained by an elusive Jedi master named Yoda. 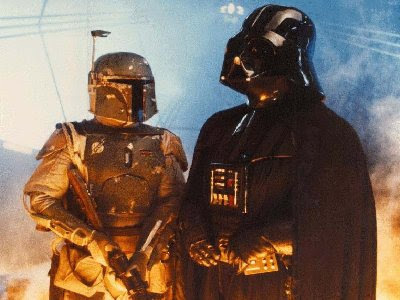 Before it's all said and done, the groups will reunite at a city in the clouds, and Darth Vader will reveal his true connection to Luke in an epic final battle. In order to understand how The Empire Strikes Back works, you need to understand what a storytelling engine is. A storytelling engine is any storytelling tool that pushes your story forward. If you think of each scene and each sequence and each act as its own unique car, then you'll understand that the only way to make that car go is with an engine. In addition to that, the more horsepower your engine has, the faster that scene, that sequence, or that act will go. While The Empire Strikes Back does not have one giant storytelling engine driving the entire story like, say, Star Wars, it does have a bunch of smaller storytelling engines, and these are the key to making the movie work. The most common storytelling engine and the one with the most horsepower is one we talk about all the time: the character goal. If a character is trying to achieve a goal, his storyline will have purpose, because we’ll want to see if he does or does not achieve that goal. But there are other storytelling engines you can call on as well, and Empire uses a few of them. So let's look at the structure a little more closely and see how these storytelling engines come into play. Empire starts with the Hoth sequence, where Luke gets taken by the Wampa monster, an act which requires Han to go out looking for him. 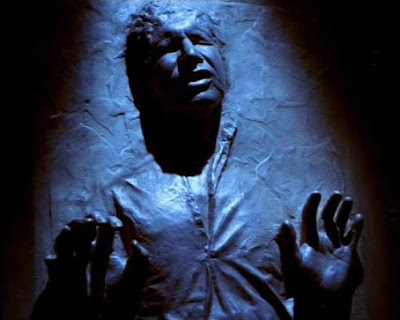 That makes this (Han needing to find Luke) the first character goal (storytelling engine) of the film. After finding him, they discover an Imperial probe droid, which signifies that they've been spotted. This results in the next storytelling engine, or "goal," and that's for the rebels to get off the planet before the Empire catches them. You can even extend the storytelling engine over to the bad guys, as they have the dominant goal – to destroy the rebel base and capture the rebels. Within this battle sequence, our heroes’ tasks are divided up twofold. Han and Leia's goal is to get off of the base, and Luke’s is to slow down the Empire's assault. This is why this opening sequence is so exciting. Everybody has a clear and strong directive. This is also why the character goal is considered the strongest storytelling engine you can use. Now when this sequence ends, things get a little tricky. 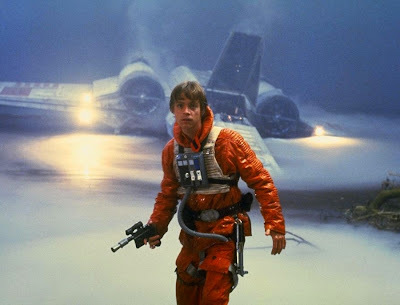 Luke goes off to Dagobah to find Yoda, and Han and Leia are pursued by Darth Vader. It can certainly seem jumbled when you first look at it, but when you break it down, we actually have two very simple but powerful storytelling engines in play here. With Luke, we have a powerful goal – to train and become a Jedi. His entire training sequence is in service to that goal, so whenever we cut back to that storyline, things are always moving forward. On the other end of the galaxy, we have our first non-goal storytelling engine driving a sequence, a chase. While a chase doesn't have as much horsepower as a character goal, it's still an extremely powerful storytelling engine because it's so active and exciting. As long as we like the characters being chased, we’re going to be engaged because we don't want those characters to be caught. Now if you want to spin things around a little bit, you could turn this chase into a character goal. That's because if you look at it from Darth Vader's perspective, there is a goal: Capture Han Solo. Also, you can look at Han Solo's goal as trying to escape the Empire. But that's not the same as a true character goal. A true character goal would be like Star Wars in that they’re not just being chased, they're trying to get the Death Star plans to the rebel base. That's why Star Wars was such a great film. It had two storytelling engines driving the story at the same time (highly recommended if the opportunity presents itself - and don't stop there – if you can get three storytelling engines going at the same time, all the better). Once these two cross-cutting sequences draw to a close, the script does a funny thing. It bookends its story with another sort of mini movie, the Cloud City sequence. Just like its opening mini movie (the Hoth sequence), Cloud City is pretty long – around 40 minutes. Cloud City introduces a third storytelling engine into the mix, one we don't talk about as much on the site, but one that's still very powerful – the mystery. A mystery may not be as intense as a goal or a chase, but a good mystery achieves the same thing – driving our interest forward – because we want to know the answer to that mystery. "Lost" built an entire six seasons around this storytelling engine. We kept watching because we wanted to know the answers to those questions. 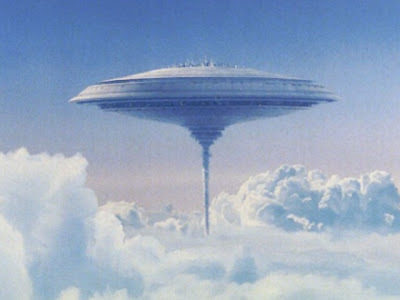 The mystery here is: What's going on with Cloud City? Almost immediately we’re getting a bad vibe from this place and suspect something is up. So the storytelling engine that keeps this sequence moving forward is our desire to find an answer to that question. It's an odd choice because it's so different from the rest of the movie. But it should be noted that about a third of the way through this sequence, the mystery is answered – Lando has made a deal with Darth Vader. Now the key to any story is that when a major storytelling engine stops, another must be introduced, or else your story will stall. This is really important to remember for when I get into the prequels later in the week. The new storytelling engine that fuels the rest of the story is Darth Vader's. He's using Han and Leia to lure Luke here so he can destroy him. This leads to a series of strong character goals for everybody else. Leia and Lando must escape. Luke must save his friends. And this is why the end of the film is so exciting, even though we don't have that great big battle that we’re used to seeing in all the other Star Wars movies. Empire does have a few faults. I thought the Luke training sequences got a bit repetitive. Just because you have a strong goal for your character doesn't mean you can extend the pursuit of that goal beyond what the audience is willing to sit through. But I also get the sense that I'm in the minority on this one and that most people think the training sequences are perfect. Empire's biggest fault is its very strange dissolve crosscutting ending between Luke and Darth Vader once the two have separated. It's really cheesy and doesn't work at all. What happens up on that giant fin inside of Cloud City was such a great place to end their communication, and the writers had to screw it up by adding that extra dialogue scene. And you can tell when the writing is bad because the actors don't show any confidence in it. Mark Hamill is not a great actor by any means, but his discussion with Darth Vader on that ship is some of his worst acting in the series. What I learned: Although I strongly advise following the three act structure (it's just easier to navigate through), the truth is, it doesn't matter how funky your structure is or how many different threads are happening in your film, as long as you have a series of continuous storytelling engines pushing the story forward. Whether it's finding Luke in the snow. Whether it's getting the ships out before the Empire shows up. Whether it's learning to become a Jedi. Whether it's escaping the Empire through an asteroid field. As long as you string together a series of compelling storytelling engines, your story will be in good shape.